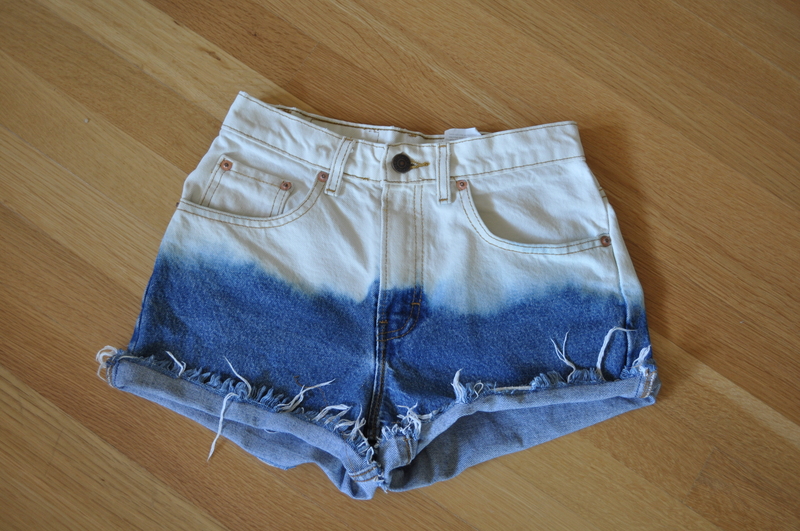 bleached denim shorts (DIY) | hipstasian. i was inspired by a youtube video by vagabondyouth to dip-bleach (is that a thing?) a pair of high waisted denim shorts that i got from a vintage store for a nifty price of $18. its super easy and creates a cool affect! 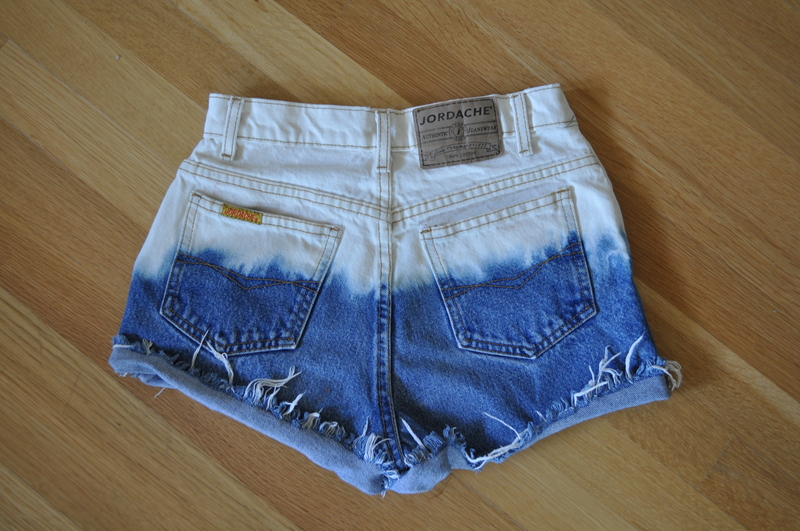 instructions: fill a pot/bucket 1″ full with bleach, put your shorts in there (either way facing down), leave them for 30-45 min, take them out and lay them out, use a toothbrush to brush bleach in areas that didn’t get bleached (be careful not to get the bleach on your clothes and other things that can be stained), and voila, bleached denim shorts!